I read a site called Shorpy that posts interesting black and white photos. 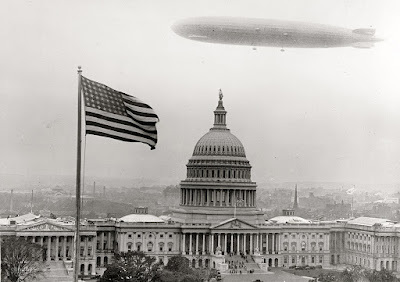 Today they posted this photo - "Graf Zeppelin over Capitol". Apparently it's a German Airship that visited Washington in 1928. Kinda freaky.